Findlay Galleries is an international leader in representing the artists of the School of Rouen and the School of Normandy. The exhibition will include works by Impressionists Camille Pissarro and Eugène Boudin, School of Rouen painters Albert Lebourg, Alfred Dunet, Robert Antoine Pinchon and Pierre Dumont, as well as artists who have continued the Rouen influence into current times, including Albert Malet, Gaston Sébire and Isabelle de Ganay. 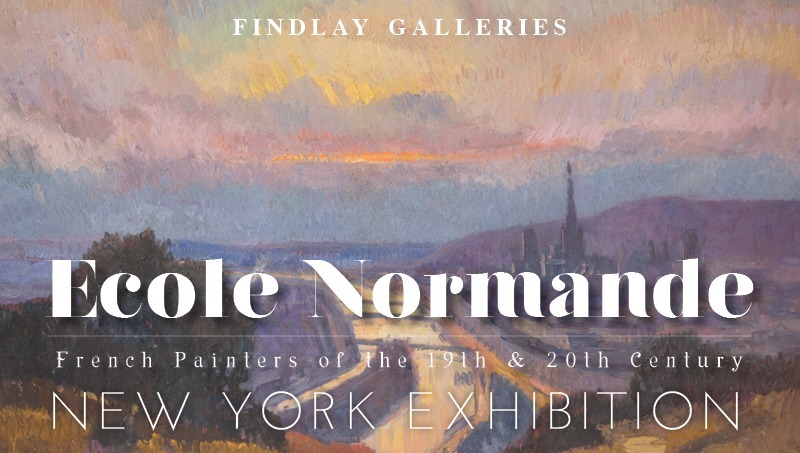 Ecole Normande Exhibition is now on view at our Fifth Avenue Gallery.